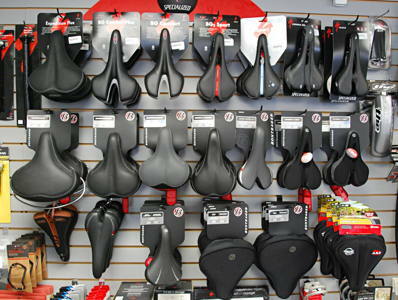 The choice of bicycle saddle can easily go into the race, race for quantity of seats in your collection. 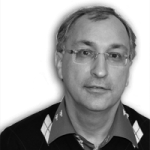 Once in the network met a typical phrase: “I had to buy eight saddles until finally found proper one, the eighth one”. The bad news is that most likely this is not the finish line. Probably the same exclamation was on the sixth saddle in a row. We are lucky: for two of us we have only 9 saddles, respectively, for men and women, four of them are set on the bikes, that is widely used. We understand that it is hard to stop in time, sometimes we want to replace the seat immediately. Why is that? 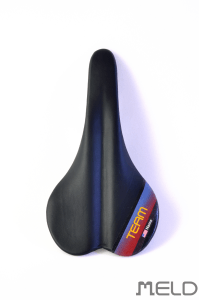 Is it even possible to make an individual perfect bicycle saddle? Honestly, I do not understand why at the present level of technology there is no mass production of bicycle saddles with an individual fit. For example in such field as ski boots it is used in full. 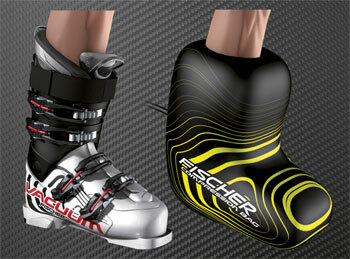 Ski boot consists of “shell”, and inner liner (very similar to bike saddle construction). The shell can be of different hardness. In addition, it can be individually adapted to the particular leg. Sometimes such service is provided directly when buying (thermoforming), sometimes in the form of a special service procedures (boot fitting), sometimes in home by following of clear instructions of where and how much to heat. And sometimes shell could be milled, I do it at home with a flexible drive-on drill and abrasive ball. The inner boot is also made with thermoplastic zones that adapt to the peculiarities of the legs, or it could be injection foam liners for ideal fit. In addition one can use customized insoles, of various types thermoforming procedure, in oven or by human warmness. Of course ski boot is designed originally well, so you need only understand is it your shell when fitting in the shop and could be sure that thermoforming of liner and good insole will adapt later to particular your leg. 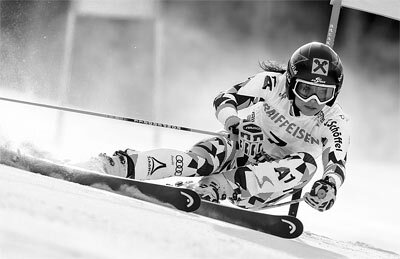 But if not, you can use the above mentioned fitting procedures that are included in design of ski boots. If to transfer these technologies to the bicycle saddle, we get something like this. Firstly choose a shell based on hardness / weight / type od cycling. Then it formed by the peculiarities of your “fifth point”. Then to top applied next layer of resilient plastic of desired rigidity with the raw of small holes for ventilation or made of any modern “membrane”. This resilient plastic also is molded to the peculiarities of the fifth point. All these layers is held together and go! Why is this not? There was booth of company Meld (USA) at the exhibition Interbike 2016, which does offer the production of individual anatomic saddles. A special foam form will be sent to Customer. Then it is necessary to “print” fifth point in the desired angle of sitting and send back. Based on this form individual saddle will be made. 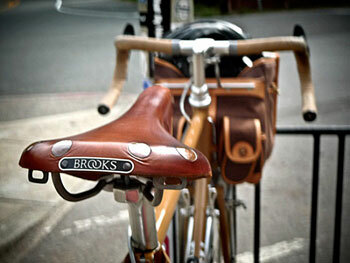 Why instead of such modern seat advanced cyclist dreams of a leather saddle “Brooks” designed of a hundred years ago? I do not believe that this is not because nobody did not think about it. Probably this is not, because actually not need a custom fitting of bicycle saddle. And if so, it means that perfect super saddle does not exist simply because it is not necessary, and therefore no need to find bicycle saddle number eight! It is difficult to accept this with our nine seats (each of which is far from ideal), so I try to give some consideration, “for” and “against”. We began to think about changing the saddle only after regular rides on the asphalt more than 50 km with 10 km of approximate distance between stops. I think that if the ride is less or stops are more frequently, then the saddle that was on the bike on purchase (the so-called “stock”), it is quite suitable. Manufacturers usually put quite decent saddle, as it directly affects the sale of the bike. It is unlikely that someone would buy a bike, not sitting on it in the store and without trying to twist the pedals. When we began to think about the ever-increasing discomfort in the fifth point, we bought bicycle shorts (which with “diapers” inside). From my point of view it is also a necessary step before choise of the second seat. Then were formulated the reasons for which the saddle on our “Stels” was not satisfied. “Stock” saddle was too wide, too soft and, most importantly, it nose was too lowered and not raised to a horizontal position of the saddle, so frames were constructed. This led to the fact that the fifth point was “numb”, inner surfaces of hips were rubbed, and it was impossible to setup of horizontal level, so a large load went to hands. But a few years, we have gradually increased rides, and all was affordable. Until we begin to ride at 50+ km long, with normal cadence and in bike shorts. It’s been a long time ago, so the entire history of immersion in the topic will not give. I dwell on the well-known moments when choosing a saddle, that is width, longitudinal profile, stiffness, ventilation. Oddly enough, the logic here often give divergent results, and this leads to permanent ongoing disputes. It’s considered that the width of the saddle is determined by the distance between “ischial tuberosity” – the bumps of the buttocks bones. 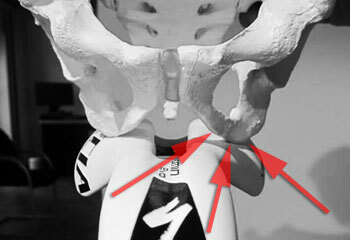 The photo shows that width between bumps is generally not very strict, as it depends on the inclination of the waist toward the handlebar (the range is marked by the right two arrows). 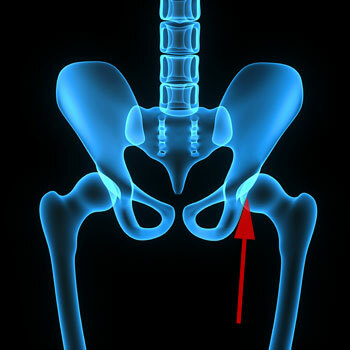 In addition, it is seen that when you lean forward you can support on additional bone protrusion on the “trapeze” (the left red arrow). In this case weight is distributed between the two bumps (two left arrows) with additional support by side of “trapezoid” between them. It is not very easy to measure width between the bumps. I like the “corrugated cardboard method”. Of course you need to take a bike posture with the your usual tilt waist, and sit on the edge of the chair. Why it’s so hard to find these bumps? I think that because in the ordinary sitting support on them does not occur. Unless specifically pay attention, you will notice that you sit mostly on the upper back of the thighs. The bumps also sometimes touch the surface, but this is only noticeable when specifically know at what point to pay attention. That is, mark the differences in the process of sitting on the bike and in everyday life. With an overall similarity “man sitting” the sitting itself is quite different. Therefore, attempts to arrange at a bike as well as in comfortable chair is doomed to fail 🙂 Those parts of the legs, on which a person sits in a chair, are in motion while riding a bicycle, and only small areas, that are not very used to sitting, remains fixed. By the same circular motion of feet is determined upper limit on the saddle width. The figure shows that quite near to still “bumps” is “the hinge rods”. The shape of the joint, and the “meat” on the bones of course dramatically individually. But alas, again in contrast to the chair saddle can not be too wide. It would seem that with such clear introductory the next step should be very simple. Measure the width between the bumps, a couple of centimeters added, received the minimum width of the seat. Maximum width – a couple of centimeters more. Then bought based on aesthetic preference of form and color. Unfortunately it does not work 🙁 To begin with, that sit on the actual “bumps” is hurt (as in the usual, non bicycle life is not in use). It is necessary that nearby areas have been involved, but vessels must not be pinched. For this purpose, the transverse saddle profile may be of complex shape between a flat and a round. In addition between the body and the seat there is a layer of “diaper”. Inspite of the main purpose of diapers is remove moisture, thickness, shape, elasticity and density of the material can vary greatly at the discretion of the manufacturer. 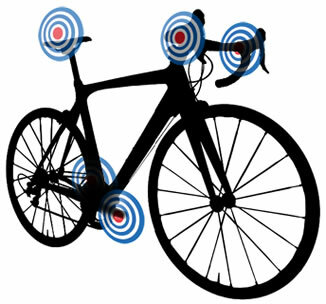 We can not forget about the optimal height setting of the saddle, as total load on the “bumps” depends on it. Met an example of the network, when a cyclist tried 8 seats and all did not fit. It turned out that it was necessary to lower the seat by 4 cm and then all 8 seats began good. Ironically, the “comfortable” seat can be much wider than dictate measurement. If you a form of “rods” allow and a small amount of “meat” inside the bone, it probably makes it possible to use more width and than the soft tissue around the bumps, accustomed to the process of seating, will be involved. But the most strange is that the saddle can be narrower than on the recommendations, especially on racing bicycles. It’s enough to look at what the saddle pros ride. Better just to women, since the distance between the point of the buttock bones of women is a couple of centimeters greater than that of men. 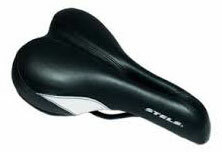 But a saddle is also very narrow, and sometimes looks like the same for women and men. And the pro-rider sit not on all (so to speak) of the saddle, and on the middle, like on perch. Of course we can not speak about the support to the ischial tuberosity. Yes, it’s not particularly hidden. Here’s a picture from the producers of diapers (chamois), which clearly shows the pressure on the saddle, more precisely on the diaper. It could be seen that sitting on the bumps end at an angle of inclination of the back, which is typical for the “MTB-like” landing, then pressure-seat area is shifted to the saddle nose. So considerations about the “bumps” can be forgotten (and, correspondingly, about cool selection of saddle described above). 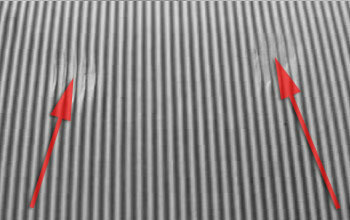 Profis sit appear on two bumps, but located on one “half”, on the first photo in this section is two left arrows. The second seat side they also needed because “halfs” may be changed on the fly. I tried to sit so, not to say that like it, but as a change of position of fifth point is working (after try as the main sit at 2×75 km on the road and 30 km on MTB cross-country sufficiently smooth ride began to like much more :)). However, with “MTB-like” landing course no one forbids to go to the road bike. Especially if the seat is not flat, and with a longitudinal relief in which the rear portion is raised. And in general, if talk about me, at the moment at MTB and road bike are the same saddles of “MTB-Road” class (ie manufacturer recommended it for universal use). At last it should be noted that loading on the saddle is only one of the five points of support on the bike (plus two legs, two hands). The most powerful fulcrum is the feet. On this cycling is similar to jogging or inline skating, where the load on the fifth point is not in principle. Therefore, during the power pedalling saddle generally just indicates the point of immobility center. With a weak force on the pedals on the contrary, the process can be reduced to the fact that the man sits as in chair and swings feet. Of course the load in this case is too much to fifth point with all the unpleasant consequences. But in power pedaling, even with the maximum circular rotation the most significant contribution to power is when feet moving down. Accordingly, the load on the fifth point is reduced down to zero. Therefore, the requirements for the saddle geometry in this case are reduced to the limit. The geometrical requirements are replaced by the extremely low weight and the ability to sit sometimes somehow. Summing up the section “the width of a bicycle saddle,” we need to stop on the following points. When selling a bike on it is put usually “stock” universal saddle that is “unisex” medium width, medium softness and medium cross-section and longtinual profiles. “Stock” saddle is enough for cycling on the road for a distance up 50 km per day with spans (without taking off from the saddle) less then 10 km. For example riding in the city for 100 km, but with the need to stop at traffic lights, or for riding in the woods with frequent rise up from saddle, stock saddle would be enough. 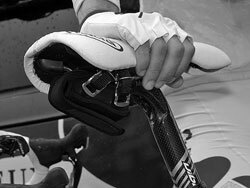 If you decide to change the saddle you need to know the necessary individual width of the saddle, but alas, be prepared that this knowledge will have little effect. The more pedalling force, the less requirements to the parameters of the saddle. Dependence on the saddle geometry is strongest on long distances, when the pedaling force failed and it lead to more support to parts of fifth point which are not used in ordinary life. That why “exacerbation” usually start at the beginning of the season. Esta interesante este articulo. No sabes el tiempo que llevaba buscando. Gracias !! Besos ! !